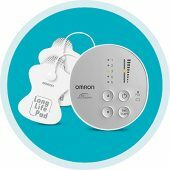 Omron Pocket Pain Pro TENS Electrotherapy Unit is a simple but powerful, drug-free solution for relief of achy, stiff or sore muscle and joint pain. Available without a prescription, the Pocket Pain Pro helps to manage your pain in as little as 15 minutes. Under your personalized control, this portable TENS unit provides power and relief for multiple body pains. True freedom from pain is more than a physical state. 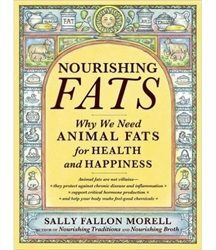 Constant awareness of sore, stiff, and achy joints and muscles can be mentally and emotionally draining. People are surprised and delighted to experience the relief offered by Transcutaneous Electrical Nerve Stimulation or TENS. 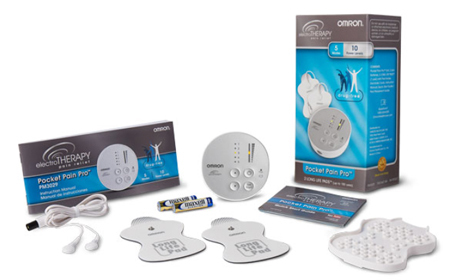 Omron TENS units are portable, reliable, easy to use, and highly effective, offering a completely drug-free way to experience life free of pain. Features include: Transcutaneous Electrical Nerve Stimulation (TENS) technology, relieves multiple body pains; portable design; three preset pain programs—arm/shoulder, lower back, and leg/foot; two massage modes—knead & steady; 10 adjustable levels of power intensity to help relieve pain almost anywhere; ideal for sharing with family members; 100% drug-free; auto shutoff. 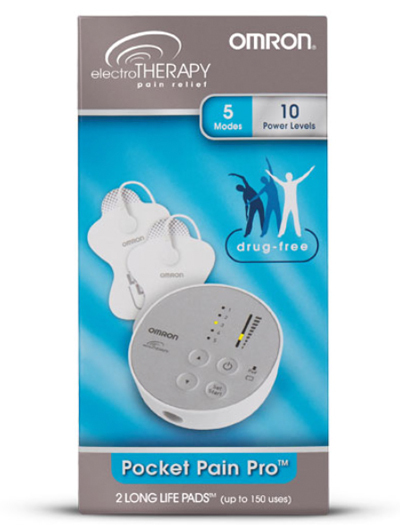 Includes unit, electrode cords, two comfortable, self-adhesive Long Life Pads (1 pair) that are reusable up to 150 times with plastic holder for storage, instruction manual & quick-start guide. Requires two AA batteries. NOTE: Use this unit only with leads, electrodes and accessories recommended by Omron to avoid damage to the unit.